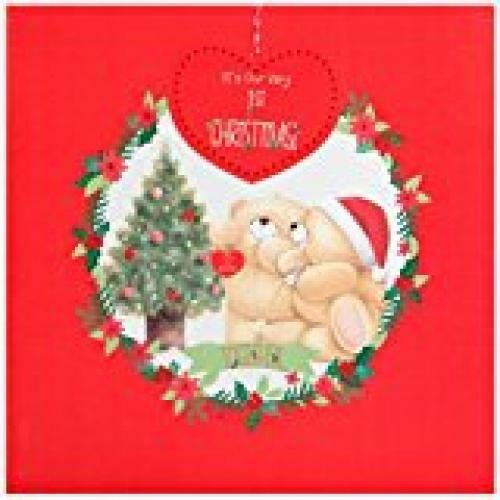 Lovely Forever Friends card for celebrating your first Christmas together. Wording inside reads "...what a cosy way to spend Christmas. Wishing us sweet times, sparkly times, and most of all.... HAPPY times! can't wait for this Christmas to start"